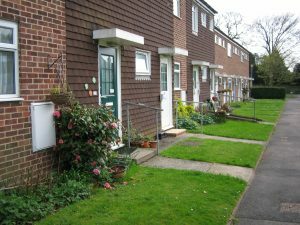 We have a range of housing for the over 60s in Eastleigh, East Hampshire, Poole, Southampton, Windsor and surrounding areas. These are all available for rent and we have two schemes in the Southampton area that are also available for purchase. Further information on each of the schemes can be found below. You can also contact us by ringing 0300 123 1 567 or emailing radiandirect@radian.co.uk. 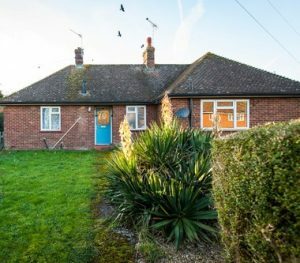 Bishopstoke Bungalows are a cluster of 22 purpose built bungalows with gas central heating and double glazing. The bungalows offer an opportunity for independent living with peace of mind. Bungalows are within 10 minutes walk of a G.P. surgery, pharmacy, public house and shops. They are located around 2 miles away from Eastleigh town centre and are on the main bus route to Eastleigh and Southampton. Each bungalow has an intercom system via a pull cord in each room or a personal pendant. This is linked to our supporting control centre to give residents the security that there is always someone available to offer support in an emergency 24 hours a day, 7 days a week. An Independent Living Officer visits monthly to ensure that the pull cord system is working correctly and to discuss any queries residents may have. Who can apply and how to apply? To live at the scheme, applicants need to be aged 60 or over, or in receipt of retirement pension. All vacancies are allocated and advertised via Hampshire Home Choice, so applicants need to be registered on Hampshire Home Choice in order to apply. Please click on link below for details of how to apply. Doreen Wellfare House is a popular scheme to rent. It offers an opportunity for independent living with peace of mind. 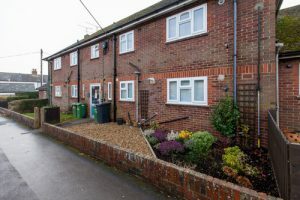 It is situated within 5 minutes walk of Eastleigh Town Centre and is nearby local amenities including G.P., pharmacy, launderette, post office, public house, shops and cafés. It is on the main bus and train links to Southampton Centre and Winchester. All flats has an intercom system via a pull cord in each room or a personal pendant. This is linked to the Independent Living Officer (when on duty) and to our supporting control centre at other times. This means that residents can be secure in the knowledge that there is always someone available to offer support in an emergency 24 hours a day, 7 days a week. Accommodation has central heating and double glazing, and water and heating costs are included within rent. Communal garden area, which faces out on to the local bowls green. Although Radian cannot accept applications, you are welcome to contact us to find out more information about the scheme. Please call 0300 123 1 567 or by email radiandirect@radian.co.uk. 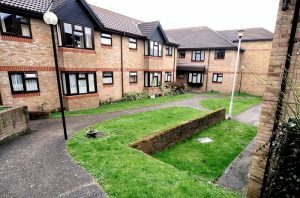 Leslie Loader Court is a modern, popular scheme in Eastleigh consisting of 22 self contained flats. The scheme offers an opportunity for independent living with peace of mind. The scheme is situated approx 1.5 miles away from Eastleigh Town Centre. It is close to main bus links with services into Eastleigh and Southampton town centre. Leslie Loader Court is less than 5 minutes walk to the local shops which include a newsagents, G.P.  surgery and pharmacy, dentist surgery, post office, launderette, public house as well as other local shops.  All flats have an intercom system via a pull cord in each room, or a personal pendant, to the Independent Living Officer (when on duty) and to our supporting control centre at other times. This means that residents can be secure in the knowledge that there is always someone available to offer support in an emergency 24 hours a day, 7 days a week. To live at the scheme, applicants need to be aged 60 or over, or in reciept of a retirement pension. Although Radian cannot accept applications, you are welcome to contact us to find out more information about the scheme. Please call us on 0300 123 1567 or by email at radiandirect@radian.co.uk. Stokewood Close is a delightful scheme to rent, offering an opportunity for independence with peace of mind. It is built on a cluster principle in the Fair Oak area of Eastleigh. 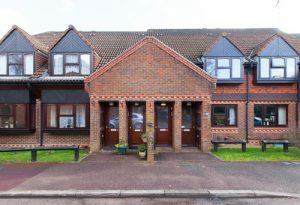 It has a total of 30 self contained flats with their own private entrance (15 of these flats are upstairs without a lift so are let as non- sheltered flats for the over 45’s). Stokewood Close is adjacent to a G.P. surgery and pharmacy and close to a local public house. It is approximately 2 miles away from Eastleigh Town Centre and is on the main bus route with services into Eastleigh and Southampton. Each flat has an intercom system via a pull cord in each room or a personal pendant to the Independent Living Officer (when on duty) and to our supporting control centre at other times. This means that residents can be secure in the knowledge that there is always someone available to offer support in an emergency 24 hours a day, 7 days a week. All flats have gas central heating and double glazing. Please note that in addition to the 15 sheltered flats there are 15 upstairs flats for over 45’s. 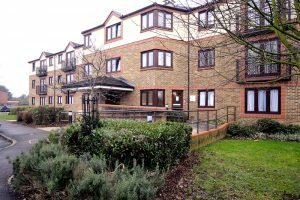 To live at the scheme, applicants need to be aged 60 or over, or in receipt of a retirement pension for the sheltered flats (or 45 or over for the upstairs non- sheltered flats).  Although Radian cannot accept applications, you are welcome to contact us to find out more information about the scheme. Please call us on 0300 123 1 567 or by email at radiandirect@radian.co.uk. Crossley Place is a modern scheme in a quiet residential area for rent. It offers an opportunity for independent living with peace of mind. Crossley Place is within easy access to the main bus route, and close to Shirley High Street and the Southampton centre . It is within 10 minutes walk of a G.P. surgery and 10 minutes walk of the shops at Bedford Place, which include a pharmacy, local supermarket, hairdressers, public houses, launderette and other local shops and cafés. Each flat has an intercom system via a pull cord in each room or a personal pendant. This is linked to our supporting control centre to help give residents the security that there is always someone available to offer support in an emergency 24 hours a day, 7 days a week. An Independent Living Officer visits the scheme once a month to ensure that the pull cord system is working correctly and to see if residents have any queries or concerns. All flats have night storage heating and double glazing. Applicants must be aged 60 or over, or in receipt of retirement pension. Rental apartments – Applications can be made via Southampton City Council’s Homebid scheme (www.homebid.org.uk/) or direct to Radian’s Southampton Sheltered Housing waiting list (please be aware the majority of vacancies go through Southampton City Council’s Homebid scheme with only a very limited number allocated via Radian’s waiting list). If you would like more information about the scheme please contact us on 0300 123 1 567 or by email at radiandirect@radian.co.uk. 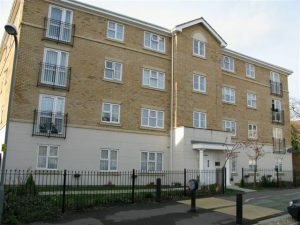 Grange Court is a modern scheme in the Mansbridge area of Southampton. Some flats are for purchase and some are for rental. The scheme offers an opportunity for independent living with peace of mind. Grange Court has a local shop opposite and is close to the local public house. It is within 20 minutes walk of a number of other local amenities including: G.P., pharmacy, launderette and other local shops and cafés. It is also close to main bus links and local train station with services into Eastleigh and Southampton town centre. All flats have an intercom system via a pull cord in each room or a personal pendant to the Independent Living Officer (when on duty) and to our supporting control centre at other times. this means that residents can be secure in the knowledge that there is always someone available to offer support in an emergency 24 hours a day, 7 days a week. All flats have night storage heating and double glazing. The Water rates are paid direct to Radian. Rental flats – Applicants must be aged 60 or over , or in receipt of retirement pension. Applications can be made via Southampton City Council’s Homebid scheme (www.homebid.org.uk/) or direct to Radian’s Southampton Sheltered Housing waiting list (please be aware the majority of vacancies go through Southampton City Council’s Homebid scheme with only a very limited number allocated via Radian’s waiting list). Hesketh House is situated close to Shirley High Street near Southampton. It offers the opportunity for independent living with peace of mind. It is close to main bus links with services into the centre of Southampton and is within 5 minutes walk of a number of local amenities including: G.P., pharmacy, launderette, public house, post office, hairdressers and other local shops and cafés. Rental flats- Applicants must be aged 60 or over, or in reciept of a retirement pension. Applications can be made via Southampton City Council’s Homebid scheme (www.homebid.org.uk) or direct to Radian via the Southampton Sheltered Housing Waiting List (please be aware that the majority of the vacancies are let through Southampton City Council’s Homebid scheme with only a very limited number let via Radian’s waiting list). For more information about the scheme, please contact us on 0300 123 1 567 or by email at radiandirect@radian.co.uk. Kelly House is an established scheme in Mansbridge near Southampton. It offers an opportunity for independent living iwith peace of mind. Kelly House is within 10 minutes walk of the local shops, public house, local train station and bus routes with services into Eastleigh and Southampton town centre. It is also within 30 minutes walk of a number of other local amenities including: G.P., pharmacy, launderette and other local shops and cafés. All flats have central heating, and water and heating costs are included within rent. Applicants must be aged 60 or over, or in receipt of a retirement pension. Applications can be made via Southampton City Council’s Homebid scheme (www.homebid.org.uk/) or direct to Radian’s Southampton Sheltered Housing waiting list (please be aware the majority of vacancies go through Southampton City Council’s Homebid scheme with only a very limited number allocated via Radian’s waiting list). If you would like more information about the scheme please contact us on 0300 123 1 567 or by email at Radian Direct. 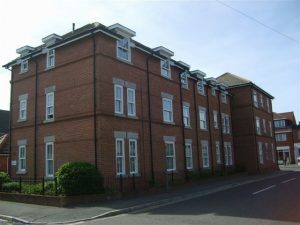 St Francis House is a pleasant scheme of 23 self contained flats in a quiet residential area. It offers an opportunity for independent living in a safe, comfortable and secure home. St Francis House is within 10 minutes walk of the local shop and Bitterne shopping centre is only a mile away. It is on local bus routes taking residents direct into Bitterne shopping centre and Southampton Centre. All accommodation has an intercom system via a pull cord in each room or a personal pendant to the Independent Living Officer (when on duty) or to our supporting control centre after hours. This means that residents can be secure in the knowledge that there is always someone available to offer support in an emergency 24 hours a day, 7 days a week. All the accommodation benefits from central heating and double glazing, and water and heating costs are included within rent. Alpha Cottages are bungalows in the Alton area. They offer an opportunity for independent living with peace of mind. 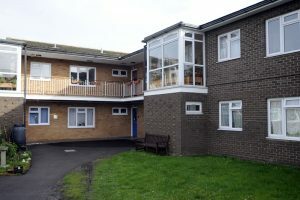 All accommodation has central heating and double glazing, and is linked to an intercom system via a pull cord to the Independent Living Officer ( when on duty) and to our supporting control centre at other times. This means that residents can be secure in the knowledge that there is always someone available to offer support in an emergency 24 hours a day, 7 days a week. To live at the scheme, applicants need to be aged 60 or over.  All vacancies are allocated and advertised via Hampshire Home Choice, so applicants need to be registered on Hampshire Home Choice in order to apply. For details of how to apply please visit the Hampshire Home Choice website. The Carlings bungalows offer an opportunity for independent living in a safe, comfortable and secure home in the Alton area. They are 10 minutes walk from Alton Town Centre. 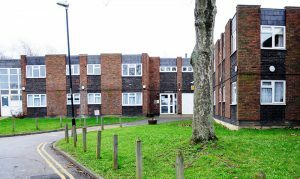 All accommodation has central heating and double glazing, and are linked to an intercom system via a pull cord to the Independent Living Officer ( when on duty) or to our supporting control centre after hours. This means that residents can be secure in the knowledge that there is always someone available to offer support in an emergency 24 hours a day, 7 days a week. 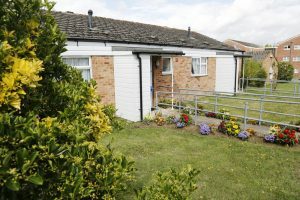 To live at the bungalows, applicants need to be aged 60 or over. Eastbrook Road bungalows are in the Alton area. They offer an opportunity for independent living with peace of mind. All accommodation has central heating and double glazing. They are linked to an intercom system via a pull cord to the Independent Living Officer ( when on duty) and to our supporting control centre at other times. This means that residents can be secure in the knowledge that there is always someone available to offer support in an emergency 24 hours a day, 7 days a week. Edward Road flats are in the Alton area. They offer an opportunity for independent living with peace of mind. 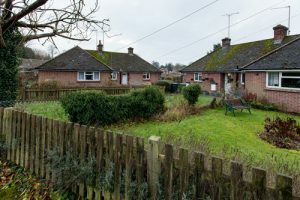 Gilmour Gardens are bungalows set amongst the fields and farmland on the very edge of the Manor Estate about a mile and half from Alton Town Centre. The bungalows offer an opportunity for independent living with peace of mind. A bus runs to the town half-hourly and several taxi companies serve the area. The railway station and the health centre are less than a mile away. There are regular buses to Guildford, Winchester and Basingstoke from the station. Another surgery and the Community Hospital are about ten minutes drive away. All the bungalows have central heating and double glazing. They are linked to an intercom system via a pull cord to the Independent Living Officer ( when on duty) and to our supporting control centre at other times. This means that residents can be secure in the knowledge that there is always someone available to offer support in an emergency 24 hours a day, 7 days a week. Many of the bungalows have private, fenced back gardens. Grass is cut regularly during the season. Laundry services are provided by nearby Orchard House, at a competitive cost. Regular trips and social functions are arranged jointly with the residents of Orchard House. There is a twin-bedded guestroom available at nearby Orchard House, with private facilities for residents to hire for visiting family and friends at a small charge. Pets are welcome at the discretion of the Independent Living Officer. 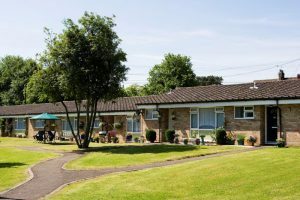 Nursery Road bungalows and flats, in Alton, offer an opportunity for independent living with peace of mind. Orchard House and Orchard Terrace offer homes that have been designed with independent living in mind. They are located centrally in the market town of Alton, less than 15 minutes walk from the town centre. The town offers a weekly market, shops, post office, chemists, local hospital, dentists and two GP surgeries. There are direct rail links to London Waterloo and a range of bus services to other towns in East Hampshire. A main door release system can be operated from each flat. Large, furnished, communal lounge with adjoining kitchen in Orchard House. Two smaller lounges available for quieter activities. Two guest bedrooms (a nominal charge is made for the use of these). The Garth offers an opportunity for independent living with peace of mind. It is situated about half a mile from the cente of the pretty market town of Alton with its shops,main post office, cinema and leisure centre. There is a health centre and GP surgeries close by. Regular buses operate to the surrounding towns and the main train line station provides a regular service to London Waterloo. To Rent- 67 one and two bedroom bungalows, one bedroom flats and studios. 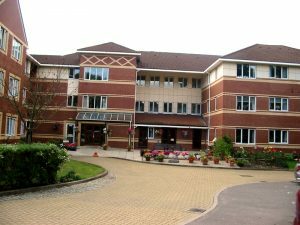 Laundry can be taken to Orchard House another of Radian’s sheltered schemes. Pets are welcome at the Independent Living Officers discretion. Guest Room available at Orchard House for residents to hire for family and friends at a nominal charge. 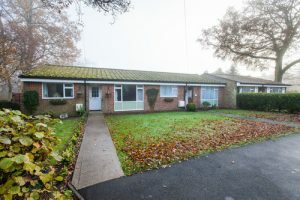 Victoria Road East bungalows offer an opportunity for independent living in a safe, comfortable and secure home in Alton. 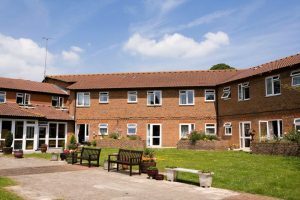 All accommodation has central heating and double glazing, and are linked to an intercom system via a pull cord to the Independent Living Officer (when on duty) and to our supporting control centre at other times. This means that residents can be secure in the knowledge that there is always someone available to offer support in an emergency 24 hours a day, 7 days a week. 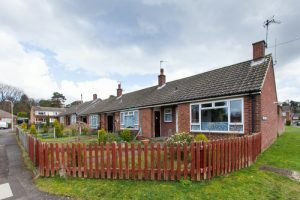 Champney Close bungalows are in the Bordon area. They offer an opportunity for independent living with peace of mind. The bungalows are within 15 minutes walk of a G.P. surgery, pharmacy, and local shopping centre. The main bus route to Alton is a few minutes walk away. 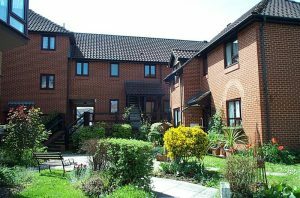 Chestnut Court, in the heart of Bordon, offers the opportunity for independent living with peace of mind. It is within a short walk of three G.P. surgeries, the community hospital and the shopping centre with all the essential shops and chemist. It is approximately 150 yards from Oak Lodge (another Radian 60 plus scheme). There are no communal areas but residents have access to all the communal facilities at Oak Lodge. Farthing Fields is a popular scheme in the heart of Headley village, 1.5 miles north of Lindford, between Bordon and Grayshott. It offers the opportunity for independent living with peace of mind. The village of Headley consists of a Hairdresser, papershop and Public House. There is a GP Surgery and Pharmacy 1 mile from the Scheme. Bordon accommodates 2 Supermarket as well as other useful shops. There is a Post Office in Lindford and another in Headley Down with various useful shops. All accommodation is linked to an intercom system via a pull cord to the Independent Living Officer ( when on duty) and to our supporting control centre at other times. This means that residents can be secure in the knowledge that there is always someone available to offer support in an emergency 24 hours a day, 7 days a week. All accommodation has communal central heating and double glazed windows. Heatherlands is a small estate distributed between 3 roads in Headley Down, Bordon. Accommodation offers the opportunity for independent living with peace of mind. There is a Post Office 5 minutes walk away with a grocery shop and Butchers. There is also a One Stop. Grayshott Village is 4 miles away where there is a GP Surgery and Chemist amongst other shops. Grayshott is a bustling shopping centre which can be accessed by a regular bus service of approximately 10 minutes. Although there is no communal area, residents are able to use the facilities at Farthing Fields if they wish. 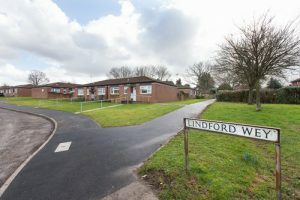 Lindford Wey bungalows are situated in a cul-de-sac 3 miles from the main shopping centre of Bordon. The bungalows offer an opportunity for independent living with peace of mind. There is a small parade of shops is within a 5 minute walk. The G.P. surgery , pharmacy, and local shopping centre is within a 25 minute walk. The main bus route to Alton is a few minutes walk away. Each bungalow has open plan front gardens, and enclosed back gardens. 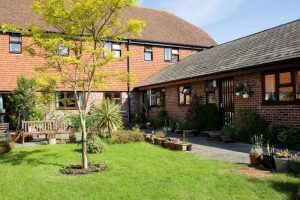 Oak Lodge, in the heart of Bordon, offers the opportunity for independent living with peace of mind. It is within a short walk of three G.P. surgeries, the community hospital and the shopping centre with all the essential shops and chemist. A communal lounge and kitchen, with patio area in a private enclosed garden available to all residents. Coin operated laundry with washing machines, tumble dryers and ironing facilities. A twin bedded guest bedroom with private facilities. Two walk-in showers and a specialist bath. Homefield Cottages bungalows are situated in the East Tisted area of Alton, in a rural location overlooking the village pond. They offer an opportunity for independent living with peace of mind. 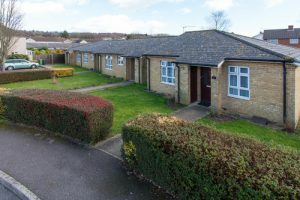 All accommodation has central heating and double glazing, and are linked to an intercom system via a pull cord to the Independent Living Officer ( when on duty) and to our supporting control centre at other times. This means that residents can be secure in the knowledge that there is always someone available to offer support in an emergency 24 hours a day, 7 days a week. 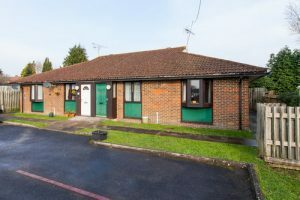 Parsonage Close bungalows offer an opportunity for independent living in a safe, comfortable and secure home in the Farringdon area of Alton. All accommodation has central heating and double glazing. They are linked to an intercom system via a pull cord to the Independent Living Officer (when on duty) and to our supporting control centre at other times. This means that residents can be secure in the knowledge that there is always someone available to offer support in an emergency 24 hours a day, 7 days a week. Windmill Fields bungalows offer an opportunity for independent living in a safe, comfortable and secure home in Four Marks. They are situated close to the shops in Four Marks and about 4 miles south of Alton. 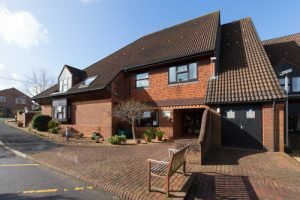 Causeway Farm is just over a mile from the village of Horndean and is conveniently situated close to doctors’ surgeries, a chemist, shops and post office. There are bus stops close by that provide regular services to Waterlooville, Petersfield and Portsmouth. There is a twin-bedded guest room with private facilities available for residents to hire for family and friends at a small charge. Linen is supplied, together with tea and coffee making facilities. 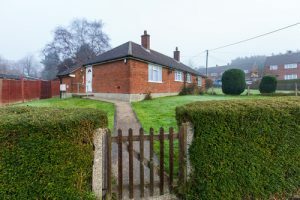 Westburn Fields bungalows offer an opportunity for independent living in a safe, comfortable and secure home in Lower Froyle; 5 miles north of Alton. They each have private gardens. Fletchers House and Fletchers Field, is situated close to the centre of Liphook. They offer the opportunity for independent living with peace of mind. There are many local amenities including supermarkets, two GP surgeries, chemist, local shops, two banks and many churches. It is a short walk away from Liphook main line railway station that provides regular services to London Waterloo and Portsmouth. There are 2 Golf Courses in Liphook and Old Thorns and Champneys Health Spa are all close by. 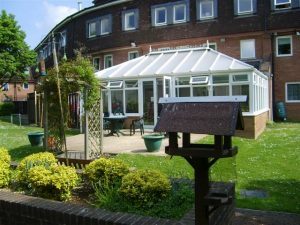 Rother House offers the ideal opportunity for independent living. It is situated just outside the village of Liss, a few minutes walk from the village centre and various local amenities including 2 GP surgeries, supermarket, post office, pharmacy, dentist, bakery and café. The local hospital in Petersfield is only five miles away and there is a direct rail link to London Waterloo and Portsmouth. Boyneswood Road bungalows offer an opportunity for independent living with peace of mind. Boyneswood Road is near the villages of Medstead and Four Marks and about 4 miles south of Alton. Gloucester Court is situated in the centre of the historic market town of Petersfield. It offers an opportunity for independent living with peace of mind. Petersfield town centre offers a wide range of local amenities. These include a busy shopping centre and weekly market, railway station, Festival Hall, open-air swimming pool, hospital and GP surgeries, General Post Office, 3 supermarkets, Public Houses, cafes and restaurants, a Community Centre and abeautiful heath and lake for boating, fishing and walking. There is a direct train link from Petersfield to Portsmouth and London Waterloo, and a range of bus services to other towns in East Hampshire. 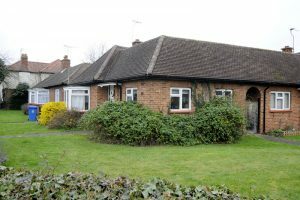 Gloucester Court is linked with 14 satellite bungalows in Barham Road and Winton Road. A main door release system can be operated from each flat within Gloucester Court. 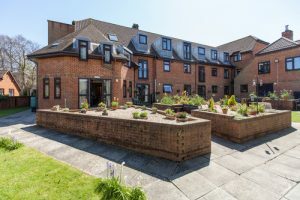 There is a large communal lounge with an adjoining kitchen within Gloucester Court, and a beautiful patio planted with shrubs, pots and hanging baskets. The facilities are used throughout the year for a variety of events and functions. Friends and residents from the wider community are always welcome. Assisted shower facilities are available for those residents who needhelp from a support worker. There is a communal laundry with coin-operated washing machines and tumble dryer. Gloucester Court has a lift to the first floor. There is a twin-bedded guest room available for residents’ families and friends at a small charge. Linen is supplied, together with refreshment making facilities. Private garden and pets allowed in bungalows only. Mobility scooter storage available only at Gloucester Court. Ramscote offers the perfect opportunity for independent living. It is situated off Ramshill, on the outskirts of the market town of Petersfield. It is less than 15 minutes walk from the town centre and set at the end of a private road. The town offers a twice-weekly market, shops, post office, chemists, local hospital, dentists and two GP surgeries. There are direct rail links to Portsmouth and London Waterloo and a range of bus services to other towns in East Hampshire. The scheme is in a peaceful setting and is built in the shape of a horse-shoe with some properties overlooking well-laid out and maintained gardens. Some ground floor properties have patio doors leading onto the garden. All accommodation has central heating and double glazing They are linked to an intercom system via a pull cord to the Independent Living Officer (when on duty) and to our supporting control centre at other times. This means that residents can be secure in the knowledge that there is always someone available to offer support in an emergency 24 hours a day, 7 days a week. A large, furnished, communal lounge with adjoining kitchen. Coin operated laundry with washing machines, tumble driers and ironing facilities. Library area with large selection of books. Landscaped gardens including raised flowerbeds and plenty of areas to sit and lots of chairs and tables. A daily meal service is available on request. 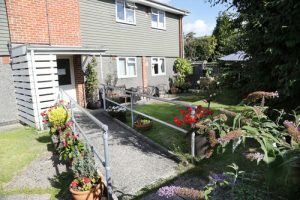 Readon Close bungalows offer an opportunity for independent living in a safe, comfortable and secure home in Petersfield. There is a communal garden to the rear of the bungalows and each has its own small front garden. Petersfield town centre is 10 minutes walk away and the Railway Station is 15 minutes walk away. There is a bus stop to the rear of the bungalows. Siward House offers the opportunity for independent living with peace of mind. 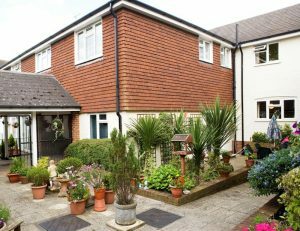 It is situated in the market town of Petersfield, just a short walk from the town centre with it’s shops, post office, chemist, local hospital and GP surgeries. There are direct rail links to Portsmouth and London Waterloo and a range of bus services to other towns in East Hampshire. 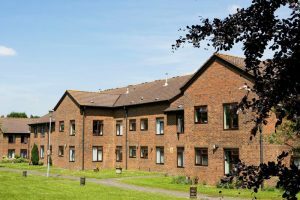 All accommodation has central heating and double glazing, and are linked to an intercom system via a pull cord to the Independent Living Officer (when on duty) or to our supporting control centre after hours. This means that residents can be secure in the knowledge that there is always someone available to offer support in an emergency 24 hours a day, 7 days a week. The main front door can be released from each flat. There is a large communal lounge and kitchen. The communal laundries have coin operated washing machine and tumble dryer. A twin-bedded guest room is available with private facilities for tenants to hire for family and friends. Town Close bungalows offer an opportunity for independent living in a safe, comfortable and secure home in Ropley. Ropley is situated about 8 miles south of Alton and close to the attractive town of Alresford. 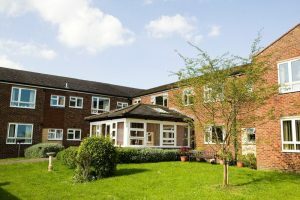 Situated in the village of Sunninghill, Castleman House offers an opportunity for independent living with peace of mind. Castleman House is within 5 minutes walk of a number of local amenities including: a local supermarket, Post Office, newsagents and other local shops, public houses and café. Flats are linked by an intercom system via a pull cord in each room. The intercom is linked to the Independent Living Officer when on duty and a supporting control centre at other times. This means that residents can be secure in the knowledge that there is always someone available to offer support in an emergency 24 hours a day, 7 days a week. Accommodation has central heating, and hot water and heating costs are included within the service charge. Castleman House is for applicants 60 or over, or in receipt of a retirement pension. To apply or more information, please contact us via our customer service centre on 0300 123 1 567 or at radiandirect@radian.co.uk. 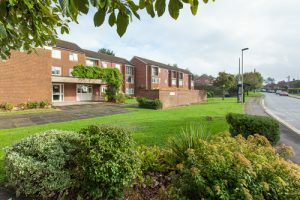 Situated in the South Ascot, Crown Hill Court offers independent living in a location close to local amenities. The scheme is situated within 5 minutes walk of the local shops, chemist, newsagents, public houses. Flats have central heating, and hot water and heating costs are included within the service charge. Crown Hill Court is for applicants 60 or over, or in receipt of a retirement pension. Situated in the village of Sunninghill, Matthews Court offers independent living with peace of mind. The scheme is situated within 5 minutes walk of a number of local amenities including supermarket, local shops, chemist, newsagents and public houses. Residents who live at the scheme are welcome to join in activities at nearby Castleman House. All accommodation is linked by an intercom system via a pull cord in each room. The intercom is linked to the Independent Living Officer, when on duty, and to our supporting control centre at other times. This means that residents can be secure in the knowledge that there is always someone available to offer support in an emergency 24 hours a day, 7 days a week. All accommodation has central heating. 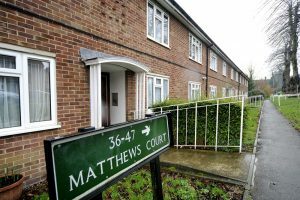 Matthews Court is for applicants 60 or over, or in receipt of a retirement pension. Applications can also be made to the Royal Borough of Windsor & Maidenhead Council Housing Options Team on 01628 683685. Website www.rbwm.gov.uk. 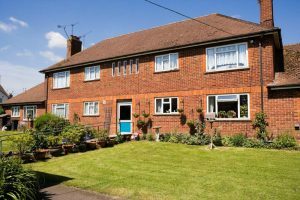 Situated in a quiet close in North Ascot, Ranald Court offers the opportunity for independent living in a great location that is near to local amenities. 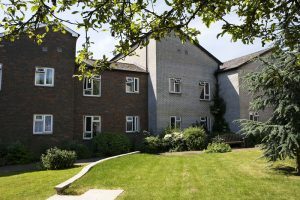 Ranald Court has 19 self contained flats, a dedicated bedroom for guests, communal lounge, hobby room and private gardens for residents. Located opposite the local doctor’s surgery, a local chemist provides a prescription delivery service. A number of local amenities are within 15 minutes walk, including a local supermarket and other local shops, e.g. post office, public houses and newsagents. Flats are linked by an intercom system via a pull cord in each room, to the Independent Living Officer (when on duty) and to our supporting control centre at other times. This means that residents can be secure in the knowledge that there is always someone available to offer support in an emergency 24 hours a day, 7 days a week. Flats have central heating and double glazing, and hot water and heating costs are included within the service charge. 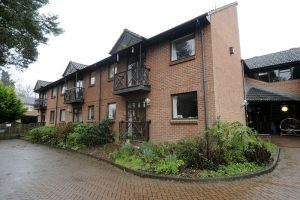 Ranald Court is for applicants 60 or over, or in receipt of a retirement pension. Situated in the historic village of Datchet, Montrose Avenue offers Independent Living with peace of mind. The scheme is within 5 minutes walk of a number of local amenities including shops, chemist, newsagents, and public houses. Residents at the scheme are welcome to join in with any activities taking place at nearby Moores Court. All accommodation is linked by an intercom system via a pull cord in each room. The intercom is answered by the Independent Living Officer, when on duty, and to a supporting control centre at other times. This means that residents can be secure in the knowledge that there is always someone available to offer support in an emergency 24 hours a day, 7 days a week. Montrose Avenue is for applicants 60 or over, or in receipt of a retirement pension. Applications can also be made to the Royal Borough of Windsor & Maidenhead Council Housing Options Team on 01628 683685. Website www.rbwm.gov.uk/. Situated in the historic village of Datchet, Montrose Way offers independent living with peace of mind. All accommodation is linked by an intercom system via a pull cord in each room. The intercom is answered by the Independent Living Officer, when on duty, and our supporting control centre at other times. This means that residents can be secure in the knowledge that there is always someone available to offer support in an emergency 24 hours a day, 7 days a week. Montrose Way is for applicants 60 or over, or in receipt of a retirement pension. 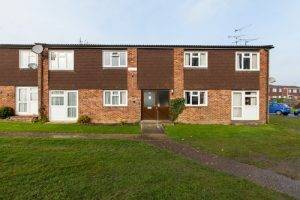 Situated in the historic village of Datchet, Moores Court offers 24 self contained flats in a location close to local amenities. 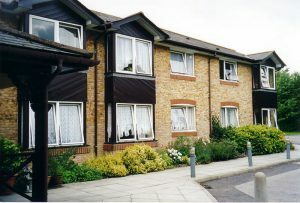 The complex offers an opportunity for independent living in a safe, comfortable and secure home. 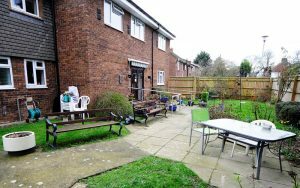 Moores Court is within 15 minutes walk of a number of local amenities including: a local supermarket, other local shops, e.g. post office, newsagents, public houses and café. Flats are linked by an intercom system via a pull cord in each room, to the Independent Living Officer when on duty or to a supporting control centre after hours. This helps ensure that residents are secure in the knowledge that there is always someone available to offer support in an emergency 24 hours a day, 7 days a week. Moores Court is for applicants 60 or over, or in receipt of a retirement pension. Situated in the historic village of Eton, Clifton Lodge offers independent living in a location close to local amenities. Clifton Lodge is situated within 5 minutes walk away from the local shops, chemist, newsagents, and public houses. Flats have an intercom system via a pull cord in each room. The intercom is linked to the Independent Living Officer when on duty and a supporting control centre at other times. This means that residents can be secure in the knowledge that there is always someone available to offer support in an emergency 24 hours a day, 7 days a week. Flats all have central heating. Clifton Lodge is for applicants 60 or over, or in receipt of a retirement pension. 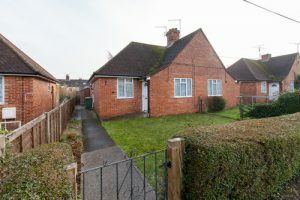 Filmer Road bungalows are in Dedworth. They offer an opportunity for independent living with peace of mind. 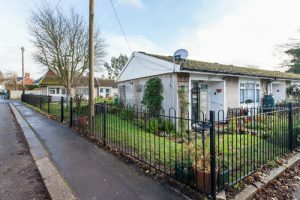 Filmer Road bungalows are situated within 5 minutes walk of local amenities including local shops, chemist, newsagents, public houses. As the scheme has access to Leslie Dunne House, residents can join in social activities held there if they wish. The bungalows are linked by an intercom system via a pull cord in each room. The intercom is linked to the Indendent Living Officer (when on duty) and to our supporting control centre at other times. This means that residents can be secure in the knowledge that there is always someone available to offer support in an emergency 24 hours a day, 7 days a week. The bungalows all benefit from gas central heating. Filmer Road is for applicants 60 or over, or in receipt of a retirement pension. Kipling Court is situated in the historic town of Windsor, close to local amenities. It offers an opportunity for independent living with peace of mind. The scheme is situated within 5 minutes walk of local shops, newsagents, and public houses. Kipling Court is for applicants 60 or over, or in receipt of a retirement pension. Leslie Dunne House is a well appointed scheme, built on two floors with a lift to all floors and offering good facilities. It offers the opportunity for independent living with peace of mind. Local amenities including shops, churches, doctors, dentists, chemist and public houses are located within 15 minutes walk. Residents have an active social club which organises activities on most days. These include carpet bowls, bingo, quiz nights, bring & buy, shopping trips, etc. There is a conservatory and gardens to which parakeets are regular visitors. Flats are linked by an intercom system via a pull cord in each room to the Independent Living Officer, when on duty, and to our supporting control centre at other times.  This helps residents to be secure in the knowledge that there is always someone available to offer support in an emergency 24 hours a day, 7 days a week. Accommodation has central heating and double glazing.  Hot water and heating costs are included within the service charge for flats. Leslie Dunne House is for applicants 60 or over, or in receipt of a retirement pension. Manor Farm House and Close are in a quiet location just a few steps from local amenities. The complex offers an opportunity for independent living with peace of mind. Local shops including newsagents, hairdressers, chemist and dentists are just at the end of the Close. There are a number of other local amenities within walking distance including public houses, and Dedworth and Windsor town centre are just a short bus ride away. Accommodation is linked by an intercom system via a pull cord in each room to the Independent Living Officer, when on duty, and to a supporting control centre at other times. Residents are therefore secure in the knowledge that there is always someone available to offer support in an emergency 24 hours a day, 7 days a week. 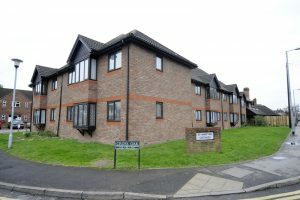 Flats have central heating and double glazing. 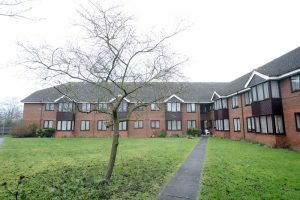 The flats at Manor Farm House & Close are for applicants 60 or over, or in receipt of a retirement pension. To apply or for more information, please contact us via our customer service centre on 0300 123 1 567 or via email at radiandirect@radian.co.uk. 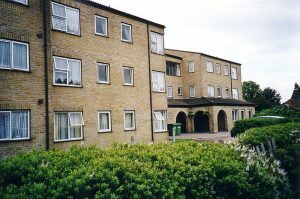 Sir Sydney Camm House is a well appointed scheme which was built with independent living in mind. The complex offers safe, comfortable and secure homes. Built on two floors with a lift to all floors, all flats are self contained with walk-in showers. A modern residence, Sir Sydney Camm House is conveniently located close to the historic town centre of Windsor with its theatre, cinema, restaurants, etc. There are a number of local amenities within a short walk including shops, churches, doctors, dentists, chemist, public houses, etc. Residents have their own social club which organises activities on most days. These include bowls, darts, coffee mornings, visits from specialist retailers, shopping trips, etc. Flats are linked by an intercom system via a pull cord in each room, to the Independent Living Officer (when on duty) and to a supporting control centre at other times. This means that residents can be secure in the knowledge that there is always someone available to offer 24 hours a day, 7 days a week support in an emergency. Sir Sydney Camm House is for applicants 60 or over, or in receipt of a retirement pension. Situated on the outskirts of Windsor. 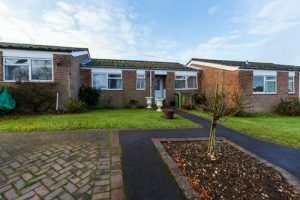 St Andrews Cottages in Dedworth offers the opportunity for independent living with peace of mind in a location that is close to local amenities. 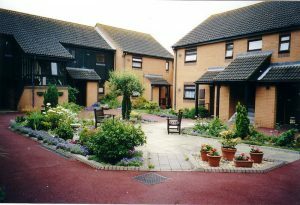 St Andrews Cottages has 18 self contained flats and a private garden for residents. The scheme is situated within 5 minutes walk of a number of local amenities including supermarket, shops, chemist, newsagents and public houses. St Andrews Cottages are for applicants 60 or over, or in receipt of a retirement pension. Grange Close, High Street & The Green are situated in the village of Wraysbury, close to local amenities. They offer an opportunity for independent living with peace of mind. The schemes are located within 5 minutes walk of a number of local amenities including local shops, chemist, newsagents, public houses. All accommodation has an intercom system via a pull cord in each room or a personal pendant to the Independent Living Officer (when on duty) and to our supporting control centre at other times. This means that residents can be secure in the knowledge that there is always someone available to offer support in an emergency 24 hours a day, 7 days a week. Grange Close, High Street & The Green are for applicants 60 or over, or in receipt of a retirement pension. Wesley Road is a modern scheme that offers an opportunity for independent living with peace of mind. It is close to local amenities and is within easy access to the main bus route. It is within 10 minutes walk of a G.P. surgery and 5 minutes walk of the shops which include a pharmacy, supermarket, hairdressers, public house, launderette and other local shops and cafés. Each flat has an intercom system via a pull cord in each room or a personal pendant. This is linked to our supporting control centre to give residents the security that there is always someone available to offer support in an emergency 24 hours a day, 7 days a week. An Independent Living Officer visits monthly to ensure that the pull cord system is working correctly and to discuss any queries residents may have. Flats have gas central heating and double glazing. Applicants must be aged 55 or over. Although we do not hold the waiting list for this scheme, for more information please contact us on 0300 123 1 567 or by email at radiandirect@radian.co.uk.